Had a lovely time returning to BBC Radio Norfolk at The Forum to be the studio guest of Keith Greentree on The Big Country Show. We had a great chat talking all things country and favourite artists such as Emmylou Harris and Alison Krauss. Two of my tracks were also played. 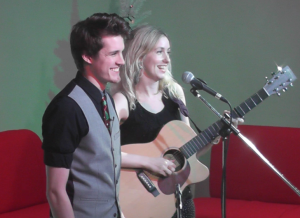 Special fun Christmas show announced! 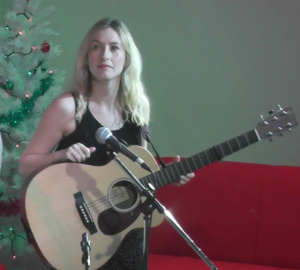 Looking forward to singing my festive originals and also some covers at the cool Blue Joanna in the Golden Triangle. Really excited to share the brand new music video to my new single ‘When Christmas Comes Around’ which is out now. 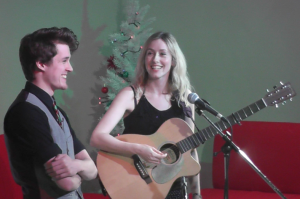 Thank you so much to French fan David Sk for creating this lovely festive video, which features my two homes Norwich and New York City, and thanks so much for watching and sharing. “expertly performed..is a fine addition to the canon of Christmas songs” Thanks so much to Stephpar for featuring and reviewing my Christmas single at Song A Day. Such kind words. 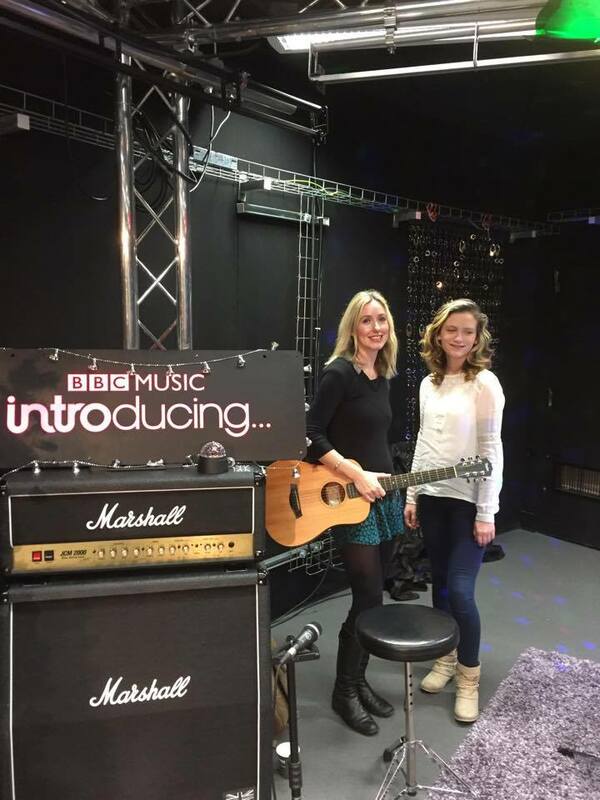 The song has just received airplay on BBC Suffolk and many other shows. 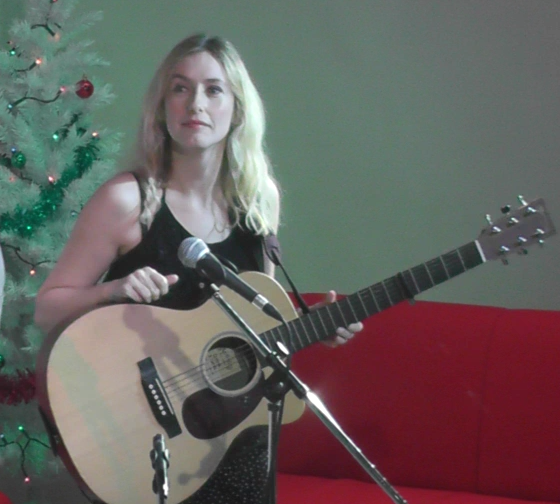 Just had a great time filming at the BBC, playing guitar for Breeze on a special acoustic festive cover. 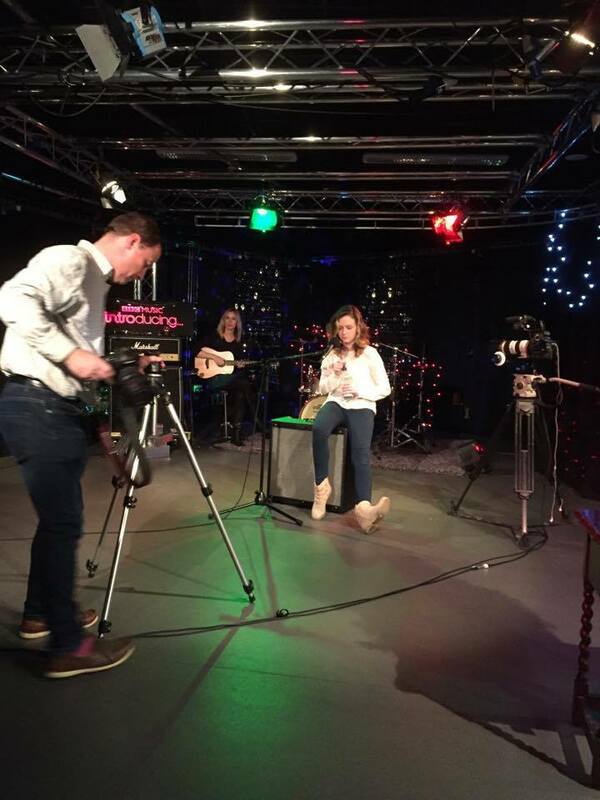 You’ll be able to see the performance on the 22nd December just before The One Show on BBC Look East and West at around 6.50pm. 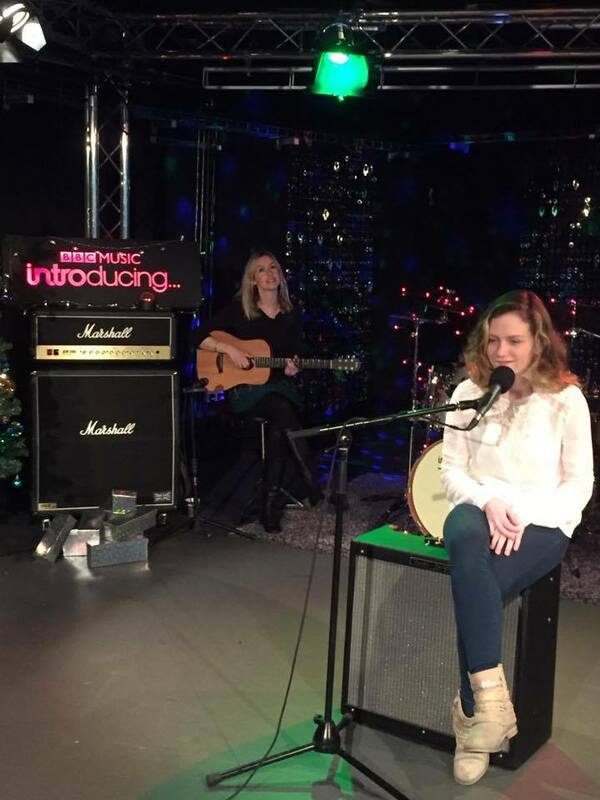 It was lovely being in the very festive BBC Introducing studio and thanks so much to Look East for having us. I’ve been working hard lately recording my new acoustic Christmas single myself and it’s out today! 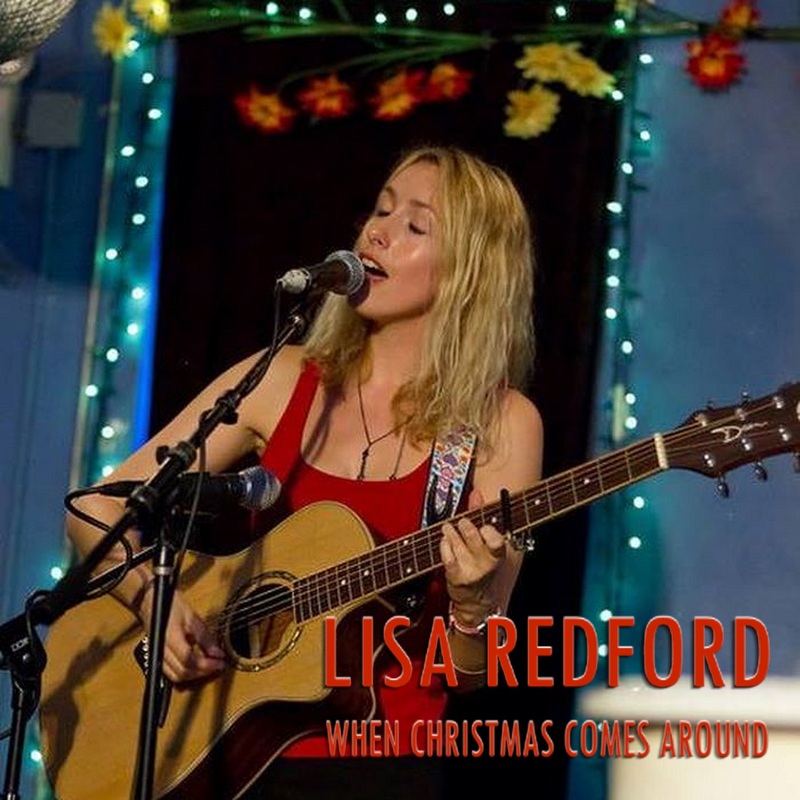 ‘When Christmas Comes Around’ is all about spending time with loved ones over the festive period and is available at my Bandcamp. “If this song isn’t perfect for a cold night in, then nothing is.” Thanks so much to Belles and Gals for featuring the song and also Foz at BBC Radio Suffolk for already giving it some airplay. 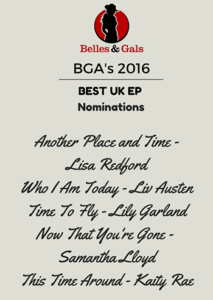 “Lisa’s music is a beautiful blend of the sweetest style of country and the purest sound of folk music”. Thanks so much to Building Our Own Nashville for this amazing review of the EP. 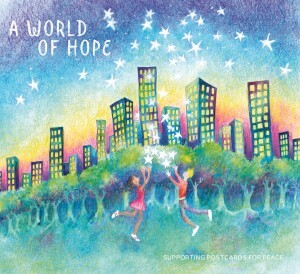 As mentioned last time, I’m honoured to have a track on beautiful charity compilation Postcards For Peace among many wonderful artists including Linda Thompson, Kris DreverPeggy Seeger Boo Hewerdine Hothouse Flowers. 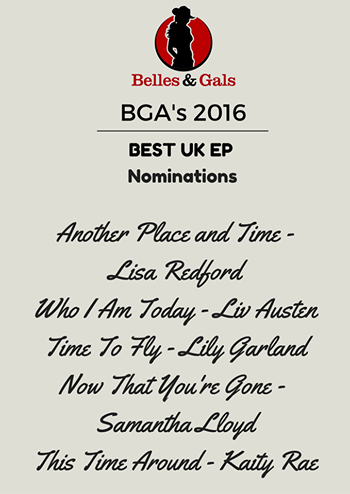 Also features ‘Courage’ (piano version) the debut single I wrote for Breeze Redwine. It is officially released next February but you can buy it now from the PFP website and all money will go directly back into the charity. Would make a great Christmas present! So wonderful it managed to raise the funds needed. 26 songs of war and peace, of hope and of love, of living life to the full, of not giving up and of having the courage to face adversity..
A Christmas Treat! ‘St Benedict’s Christmas Fair’ Played on Bob Harris Show! 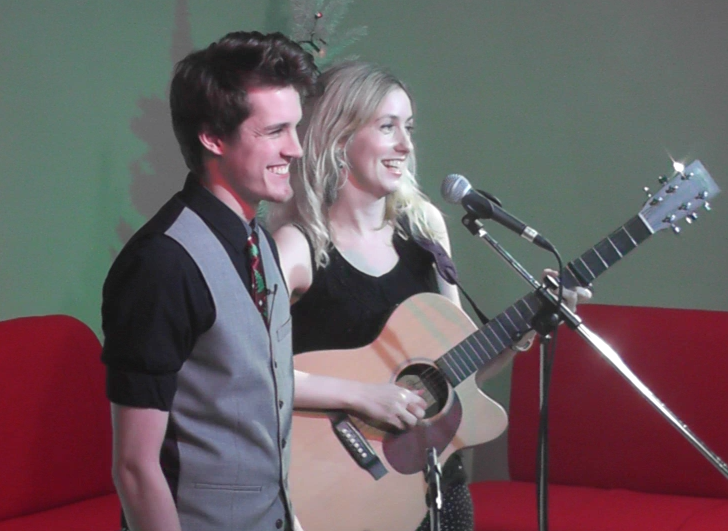 Had a great time performing my Christmas single (plus a fun Christmas cover!) 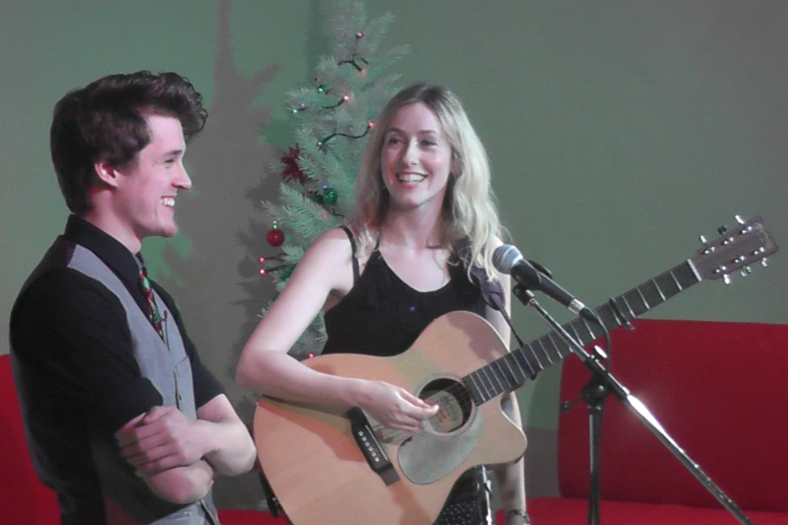 at UEA TV’s Reverb Christmas Special. Photos above and video to come soon! 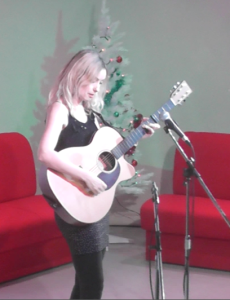 A real Christmas treat hearing ‘St Benedict’s Christmas Fair’ played on Bob Harris’s show last night! 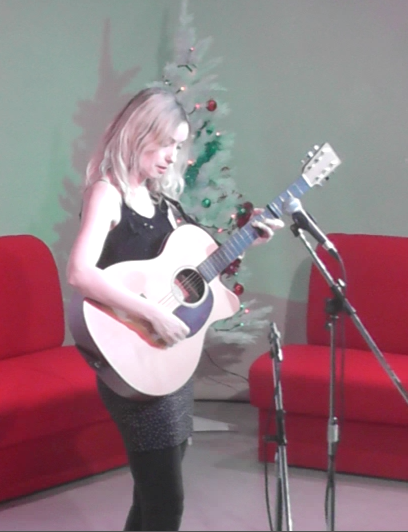 Bob played a lovely selection of festive songs and described my tune as ‘so sweet and really lovely!.’ Thanks so much to Bob for all the support and also the other radio stations and shows that have supported the single (Future Radio, Norwich 99.9, BBC Radio Suffolk, Acoustic Routes, Wrecking Ball Radio and many more) Wishing you all a wonderful Christmas! 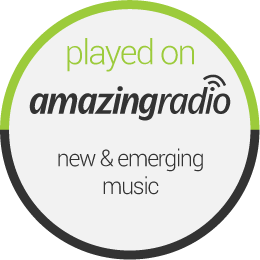 Listen again to the show here my song is on at 1:52! New Christmas Single Out Now! 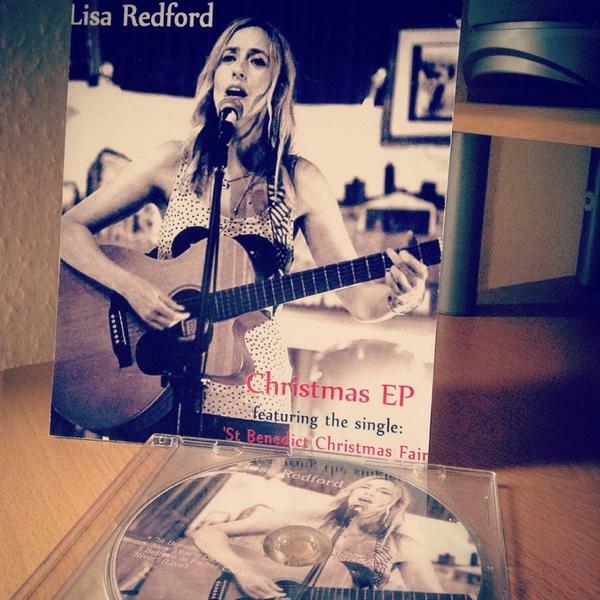 Really excited to share my new original Christmas single ‘St Benedict’s Christmas Fair’ which I recorded and mixed myself. It’s a bittersweet acoustic ballad about saying goodbye.